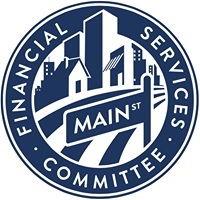 Washington, DC – (RealEstateRama) — The Housing and Insurance Subcommittee met today to examine the various federal, state and local regulations and policies that affect affordable multifamily housing development. “Today’s hearing was essential in order to determine the costs of regulation, and barriers preventing affordable multifamily housing development. The lack of development is especially concerning because while we continue to enjoy some of the lowest rates of unemployment in our history, people are having trouble finding affordable housing in areas they are being offered jobs. I want to thank today’s witnesses for coming forward today to share their thoughts on what is holding the housing industry back from developing affordable multifamily housing projects for our growing workforce,” said Subcommittee Chairman Sean Duffy (R-WI). Housing trends in the United States will dramatically change over the next 25 years as more individuals opt to rent housing rather than become homeowners. Multifamily housing development can be subject to a significant array of regulatory costs, including a broad range of fees, standards and other requirements imposed at different stages of the development and construction process. When regulatory costs become too expensive, it can hinder development, reduce housing supply, and further exasperate housing affordability problems. “The apartment industry can be a robust economic engine that provides high-quality, affordable housing and lasting job growth. However, the ability of our sector to deliver these benefits depends on collaboration and partnership at all levels of government… Support from policymakers, along with educational and planning tools, can help promote the acceptance of apartments and demonstrate the benefits of multifamily development.” – James H. Schloemer, Chief Executive Officer, Continental Properties Company, Inc.